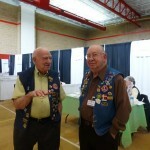 First I want to recognize and thank the many Lions who served to make the April 25-26 9Health Fair a success. As I worked under Lion Carole Kitchell’s leadership so I can serve as Site Coordinator next year, I have really learned just how much hard work and time that so many of you—more than 30 of our members—devote to this remarkable community service event! 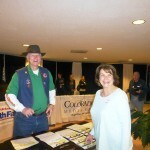 This was the 9Health Fair’s 35th year, and the Fort Collins Lions have been leading the event in Fort Collins that entire time. 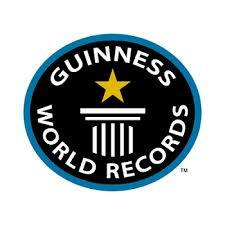 We can all be very proud. Next was the 2014 District 6 NorthEast District Convention held on April 19th at the Adams County Fairgrounds in Brighton. 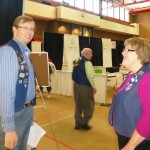 Fort Collins showed remarkable Lions leadership at the convention, which hosted over 200 Lions. 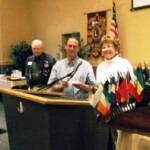 District Governor Ken Moore led a substantive, positive Convention that focused on the many ways that Lions do serve. The agenda included the District Youth Program, the Colorado Lions Camp, Kidsight, International Hearing Dogs, Rocky Mountain Eye Bank, the LCIF/Disaster Fund, and our own Ensight Skills Center. Lions Denny Moyer and Penn Street gave superb presentations covering Ensight Activities, and the new Ensight Van was there for tours. I list these services to underscore the many ways that Lions serve our district. 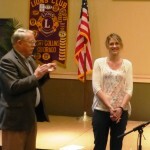 The Convention elected several Fort Collins Lions to leadership positions. Lion Bob Kitchell was elected as 2014-20-15 MD6-NE District Governor. Lion Carole Kitchell was elected as 2014-20-15 MD6-NE Rocky Mountain Eye Bank Director, and Past District Governor Lion Dave Mendenhall was elected as 2014-2017 MD6-NE Rocky Mountain Lions Eye Institute Foundation (RMLEIF) Trustee. Our congratulations to these Lions for their engagement and willingness to serve in these important positions. I am so proud of Lions and the truly remarkable, on-going services that our Club provides. Bless you all. 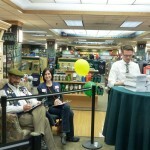 On April 16, 2014, CSU alumnus and author Ryan Avery, attempted to set the Guinness World Record for book signing at the CSU bookstore. 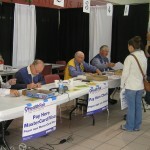 Lions club members volunteered to serve as “witnesses” to the event. Thanks go to Tobey Yadon for organizing the volunteers. 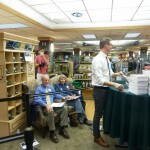 Thanks to David Lambertson and his daughter, Katie, Alex Chapman, Darell Zimbleman, Irene and Tom Toliver, Bill Funke, Sue and Tobey Yadon for doing their two hour shifts as Ryan signed books. While he didn’t break the record, it was fun to witness such an energetic, young man meet, greet, sign, and dream big! 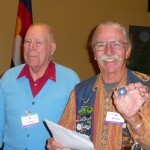 Membership Key Awards recognize individual Lions who invite new members. A Lion can earn their first membership key by inviting two new members and may earn up to seventeen keys. Each key is designed to reflect the number of new members a Lion has sponsored who remain a Lion for at least one year and one day. 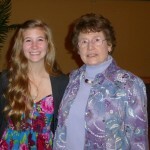 Carole Kitchell received the Key Award for inviting members Dylan O’Brien and Bob Kitchell. Ensight is co-hosting the first annual Quick As A Blink 5k Race. Eye Center of Northern Colorado and the Ensight Skills Center are pleased to announce the 1st Annual, Quick as a Blink 5K Race. All proceeds from this race will be donated to the Ensight Skills Center to further their community outreach and helping those with low-vision needs. One unique part of this race, is that we will be giving away free registrations to those with low vision needs and their guides. 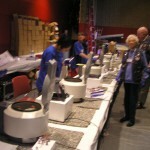 The Fort Collins Lion’s Club will be providing a post-race breakfast and Ensight Skills Center staff will be present with low-vision simulations and information about their organization. Come on out to learn more about your eye and what can change in the blink of an eye. 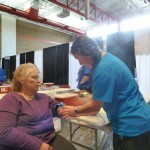 About 1400 people visited the 9Health Fair this year. A full report will be given in May. 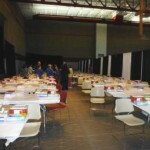 Phlebotomy station ready to go! Centrifuge area ready to go! Our Lions Club has donated $1500 to the Senior Center expansion. The donation is divided between $1200.00 for a plaque, $300 for a theater seat, and we $200 for two commemorative brick pavers in the patio.